I wanted to watch this movie when it was released last year but I could not watch it then because I think I was busy in my chores. Thankfully, the movie came up on YouTube during Dashain. After the earthquake of Baishakh 12, 2072, Pashupati Prasad Khakurel comes to Kathmandu from Sindhupalchowk in search of his Meet Baa. (Meet is best friend; Baa is father. Meet Baa is father’s best friend–almost like father.) Only his Meet Baa can help him earn money in order to clear his dead parents’ debt. The movie revolves around this simple common theme. However, as Pashupati Prasad works around Pashupatinath area, he makes a connection with Hanumanji–a masked man dressed like Hanuman, an old woman who loves him more than her own son, an M.A. graduate who runs a food booth, and Bunu–a deaf-mute girl who he loves. He also makes a rivalry with Bhasme Don, while searching for gold in the Bagmati River. Through these characters, several aspects of society come alive. The ending of the movie is unexpected but highly emotional. Without much dialogues, these scenes break the audiences’ heart. Though many have argued that the ending should have been different, I think that’s exactly the makers had wanted people to think of. For the monthly feature this October, I can’t avoid writing about this science fiction movie that involves a worm hole, a black hole, and a crew of scientists trying to save the human species: Interstellar. I watched the movie twice during the second week this September. The first time I watched it, I did not understand some of the things shown towards the end. The search took me to different answers. It also took me back to astrophysics. I have always been attracted by astronomy. I enjoyed reading about stars, planets, satellites, asteroids, and comets. I was introduced to complex objects like black hole through a picture book (published by National Geographic Society, I think) my friend had brought to school. About three years ago, I had read Stephen Hawking’s A Brief History of Time. It had given me a picture of the universe but I was still not satisfied. I was touched by its drama. I did not understand anything shown in the end. I had to know where Cooper went after trying to enter the black hole. I had to know how all things shown in the movie were related. As soon as I watched the movie, I googled and saw a term “tesseract”. Cooper had gone into the tesseract. How? “They” had sent him. Who’s they? Cooper asks the question twice in the movie. If you have watched the movie and listened carefully the conversation between Cooper and TARS in the Tesseract scene you can get the hint. But who built the Tesseract? Only one answer in Quora satisfied me. And to verify it again, I had to watch the movie. However, I wanted more information on the scientific accuracy of the movie. While sci-fi movies are related to science, they use their artistic freedom to show things which can be misleading. According to the materials I found on the internet, the movie had shown almost accurately the black hole and the worm hole. I thought, ‘There is some science in the movie.’ I found an ebook The Science of Interstellar, written by astrophysicist Kip Thorne. This book helped me know many aspects of the movie and the science used in it. Combined with my undergraduate physics book I could understand relativity and concepts of space-time better than I had before. Interstellar helped me widen my knowledge on universe. However, it would have been difficult if I had not known some of the concepts previously. I really appreciate the movies which tease my brain and my knowledge. This is one such movie. Good Bye, Hero of Dolpa! On the fifth installment of the Monthly Feature, I have the story of an extraordinary gentleman whose life was a caravan, just like the movie he had acted on in the 1990s. The life of the people living in the Himalayas is difficult. These people do not have proper educational, administrative and medical facilities, because they lack motorable roads. The hardship faced by the caravans in Dolpa was realistically transformed into a movie, Himalaya Caravan (aka Caravan). The movie starts with the death of the son of Thinle, the chief of the village, by falling off a cliff. Who would have thought Thinle would die two decades later, in a similar manner on the banks of Shey-Phoksundo. Almost every Nepali who is interested in movies and music, know Thinle (Full Name: Thinle Lhendup Lama) as the powerful actor of the movie Himalaya Caravan. The lives of the Himalayan people had been pictured by it’s director. When the movie was nominated under the category of Best Movie in Foreign Language for the 72nd Academy Awards, Thinle became a superstar. The unsung hero of Sallang, Dolpa had stepped on to the spotlight. Thinle was born in the year 2001 B.S. in the Upper Dolpa region in the village of Sallang. His family was traditionally yak-herds. It was a lifestyle for the people in his village. 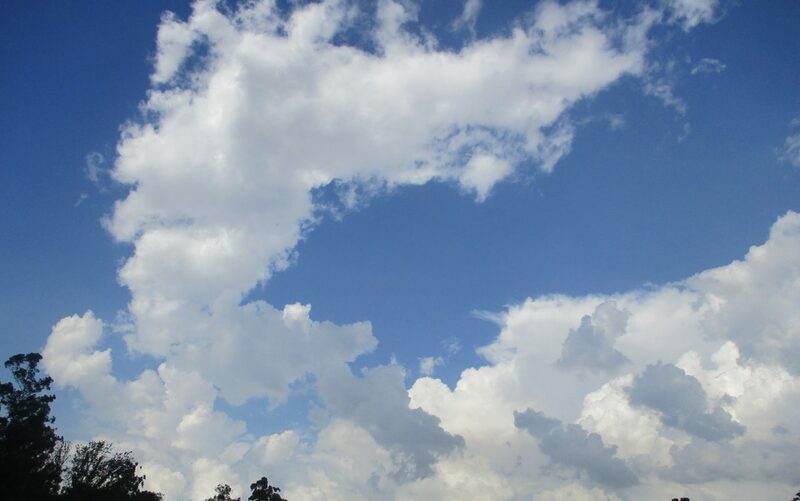 But he was a star that could not be hidden by the clouds. He insisted on gaining education and his family agreed. They sent him to study in Tibet. When he returned, his perception of the world had changed. His people would not just be limited to Dolpa but would shine all around. He soon became the chief of the caravan the villagers used to move between Dunai, headquarters of Dolpa, and to Tibet. He carried an aura of charm and intelligence, which was shown to the world by a Frenchman, Eric Valli. What would have happened if Eric Valli had not come to Kathmandu? What would have happened if he did not have the spirit to visit Dolpa, still remote to Kathmandu? What would have happened if he hadn’t met Thinle? Maybe the movie would not have been made. We might never have a chance to acknowledge Thinle, Nepal’s first Global Superstar. Eric Valli loves trekking in the Himalayas. It is also his passion to bring up the real lives of people on screen. While he came to Dolpa in 1981, he met Thinle who was leading a caravan that had brought in salt and rations from Tibet. After he returned France, he published a travelogue. The travelogue became famous. When he told this to Thinle later, the man from Dolpa asked, “Why don’t you make a film on us?” Sparked by the idea, the movie Himalaya Caravan was made in 1999. The simple yet realistic lives of people in the movie caught the attention of the world. Valli and Thinle rose to fame as their movie was nominated for the Oscars. The lovers of Nepali music praise Nepathya for their folk-pop songs, which focus on the actual setting on which they are sung. ‘Sa Karnali‘ is one such song about the Karnali zone and the lives of people there. Amrit Gurung, the band’s lead vocalist, who is also an adventurer, and a photographer, was called on by the director Bhusan Dahal and they shot the music video around the Shey-Phoksundo with Thinle. The song and the video left in the minds of many teenagers (including myself) the images of beautiful Dolpa. Thinle and Gurung in particular were forged into a strong relationship. Gurung called him ‘Kaka’ (uncle) and was among the first to publish an obituary in the name of the Dolpali hero. During the years of his stardom in the 90s, Thinle was also involved in politics. (I was shocked to know this!) 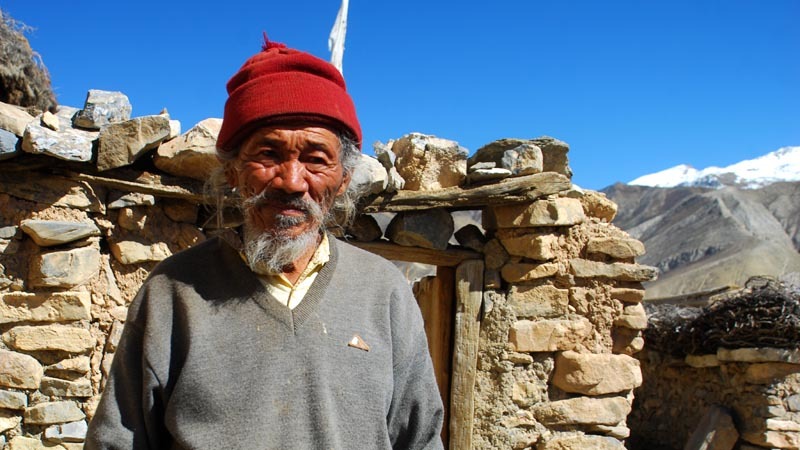 Thinle, who always kept his Dharma above anything else, helped bring some changes in the villages of Upper Dolpa. With his influences, he was able to provide the villages with drinking water and electricity. The Dolpalis revere him for the great man that he was. Even last month, he had come to Kathmandu to seek help from the government in resolving problems of Dolpa. Thinle left the material world last Sunday. He had fought cancer. The will of seeing a good transportation facility had kept him alive. The prayers of his people had kept him surviving in the harsh mountain life. But on that fateful day, death had come to him in the form of a mule. He could not escape. He was returning Sallang from Dunai on a horse. As he was going up on a cliff above Shey-Phoksundo, a herd of mule came from opposite direction. He gave way to them, himself at the edge of the cliff. All the mules passed but the one which was his death pushed him. The hero of Dolpa fell from the cliff down on the bank of Shey-Phoksundo. Thinle thrived with caravan. He died with it. He himself was a caravan, a traveller who traded his life of hardships with a life of heroism- both on-screen and off-screen. हिजो दिउँसो उनी यो दु:खी संसार छोडेर गए । उनी क्यान्सरको बिरामी भए पनि मृत्यु भयो घोडाबाट लडेर । सामान ओसारपसारका लागि घोडा-खच्चर प्रयोग हुने त्यस भेगको बाध्यतामा परेर उनी गए । क्याराभान तान्दै, घोडा दौडाउँदै परिचित भएका उनी क्याराभानको यात्रामा नै वैशाख १२, २०७३ मा दिवङ्गत भए । डोल्पाली नायकलाई श्रद्धाञ्जली !